A shed roof may not sound like it is built to last, however when it is designed and constructed the right way it can provide a sleek appearance to your home. This style of roof can also be less expensive due its basic design. One disadvantage to a shed style roof is that it can develop drainage problems if the slope of the roof is too low. This can result in water leaks or damage. One benefit to choosing a gable roof is that it is simple and also less expensive install. 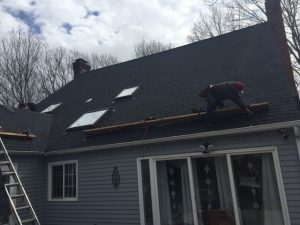 If you are looking for some ways to save on your home addition project, then you may want to consider this particular style of roof. A gable roof is also known for being weather resistant. The slope shape of the rooftop helps prevent rainwater and snow from collecting on the roof. In fact, the slope style allows water to easily run off the roof. This can reduce the possibility of leaks or damage that can often occur with other roofing styles. It is important to know that there are a few disadvantages as well. For instance, if the gable roof is not properly constructed, strong winds may cause damage to the roof. These are just a few types of roofs you could use for your home addition project. Make sure you find a quality contractor to work with like Tabor Design & Build regardless of what style of roof you decide to go with.